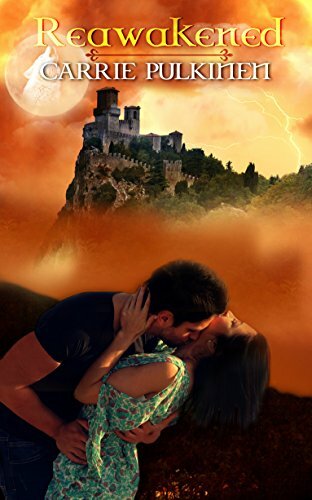 Vampires and romance….a good hook for me. Trouble is there’s so many different styles of romance, whether paranormal or not and for me this was a style that doesn’t really work for me. If you like Celia Kyle, T.S.Joyce, Bella Forest then this book may well appeal to you. they’re all popular authors whose write what I think of as light and fluffy paranormal reads, where the story is mainly the romance, but with a little back-plot and excitement underlying it. For me though books need to have a little more substance, a bit extra to hold my interest. Its a perfectly well written book, a story that adds up, some fun plots and the usual secrets that creep out. Its just that for me its all a bit too simplistic, too easy to read with everything falling into place so easily, when I need something a little more edgy, angsty, problems that the characters have to work really hard to overcome. I need to feel there’s a real chance the characters romance won’t survive the pressures put on it, that the problems they have, the dangers they face may all be just too much. There’s nothing I really dislike about this book, just nothing that would want me to keep it, re-read it either. Stars: Three, a fun read but I need a bit extra.